An Intranet offers significant advantages in efficiency and productivity for Small Businesses and Nonprofit Organizations. Big companies have had them for decades. They are essential to maintaining order across multiple facilities across the city, state, country or globe. Of course, they also have the resources of large teams of IT specialists to design, build and maintain those systems. 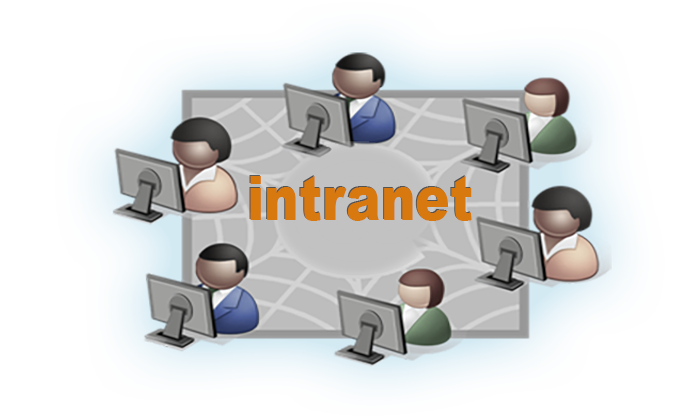 Just what is an intranet? ...an extranet? When a "Web" Site is developed for the benefit of your internal constituency and made available through your LAN, or local area network, it is called an intranet. When a "Web" Site is developed for the private use of both internal and external parties and made available through the Internet or a VPN (virtual private network), it is called an extranet. These days we are more concerned about the intended audience of the Intranet/Extranet site, rather than the physical location of the hardware on which the data is stored. You can specify any location, but we are pleased to recommend Infolane's high-quality cloud environment for optimal service and long term support. That doesn't mean you are required to use our hosting services. All clients enjoy a full license to their copy of the operating software to use within their firm. Intranet and extranet sites serve a variety of useful purposes and can play a role in the efficiency and success of your organization. Your infolane representative can help you understand the benefits and costs of developing your site. What can I do with my intranet? Many things. Some are quite simple, others complex. Your intranet can grow in size and sophistication over time. Every business and not-for-profit organization has its own, unique, set of needs.. Still, there are common threads that can be found when getting started, and productivity gains can come quickly. Take a look at some preliminary ideas. It is our vision to make intranets available at reasonable cost, and support the client from visioning to implementation. That's why our intranet products are built using the same, widely recognized technologies that power our Websites. Once up and running, our staff will provide ready telephone and online support to keep your people productive, despite the natural cycles of staff turnover. Training and support is always at hand. Are you motivated to get started? Contact an Infolane representative to start a conversation and shedule an online or in-house demonstration.